Fire on the Mountain customer Ian Eytzen gets some work done at the counter while gamely smiling for the camera. 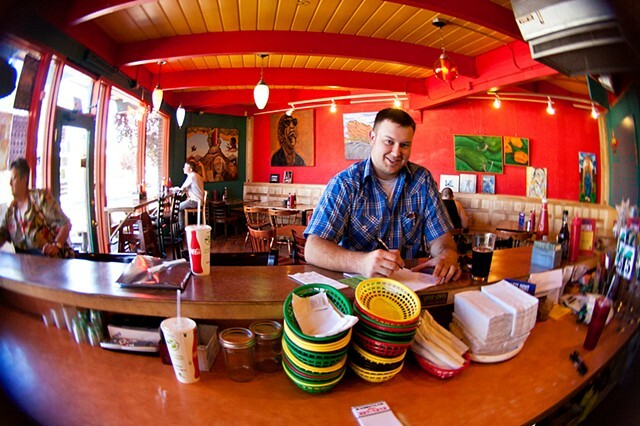 Fire on the Mountain is owned and operated by Jordan Busch and Sara Sawicki who opened their flagship location on Interstate Avenue in North Portland, serving traditional buffalo wings and beyond, in 2005. Since then, they've added 3 more locations.